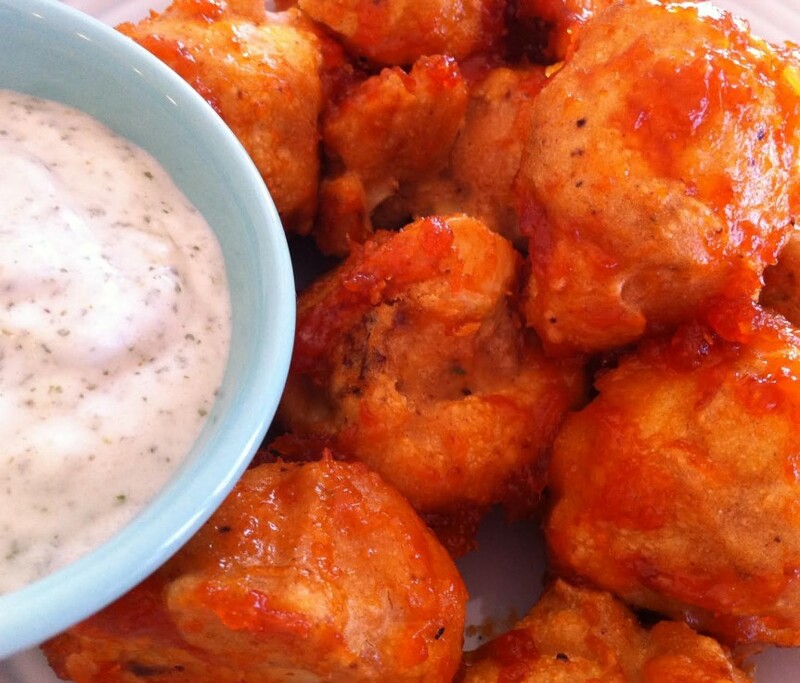 Mango Sriracha Cauliflower Nuggets - Vegans Eat What? Vegans Eat What? Good-bye deep fry! These wholesome nuggets are delicious and always a big hit. Try them at your next party. Preheat oven to 450 degrees. You will need a pizza stone, parchment lined baking sheet or well greased pan. Chop the cauliflower into 1 or 2 inch nuggets. Mix the batter into a smooth and thick consistency. Dip the cauliflower into the batter and place it on a baking sheet. Bake the nuggets for 20 minutes. Mix the glaze ingredients together. Pour the glaze into a cast iron skillet over medium heat and carefully toss in the nuggets to coat. Bring the sauce to a boil for 1-2 minutes. Transfer the cast iron skillet back to the oven to crisp brown and serve. This is a well-tested recipe that I use in my annual Super Bowl Party Foods class. The texture of these nuggets is very meaty - to everyone’s surprise - and always a big hit. This recipe was inspired by VeganRicha’s blog, which specializes in Indian cuisine. For extra tang, add vinegar to the glaze. You may also substitute real mango puree and maple syrup for the fruit jam. For a quick glaze mix 1/4 cup ketchup and orange marmalade to taste. For a restaurant style glaze add vegan butter 1 to 2 ratio. 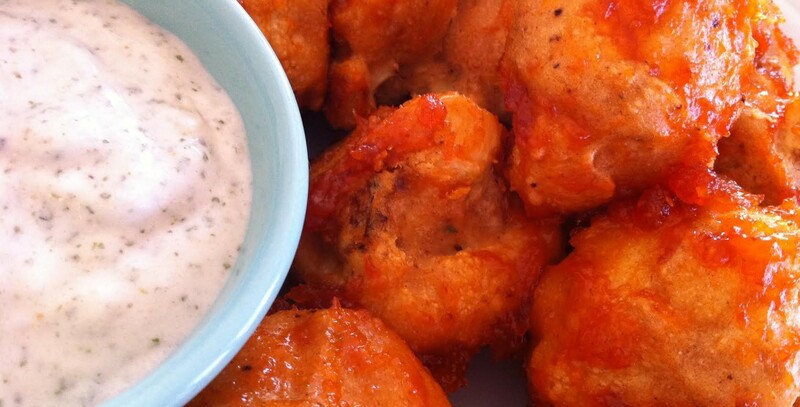 Serve these nuggets with Beth Ann's Ranch Dressing!